Do the same in your second server also but while creating the default.htm file replace the word “server 1” with “server 2” so that the difference is noticeable when running load balancing. 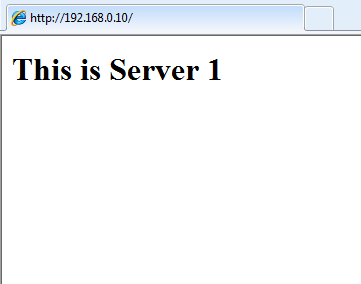 Now that IIS is up and running its time to configure IP addresses on both servers. You can also enter your gateway address (usually the modem or router) and DNS address. But in the setup I’m doing it isn’t required. This is that crucial step in setting up network load balancing and if it isn’t done properly will end up with a non-working configuration. Next under the Cluster Operation mode select Unicast or Multicast. So what is the difference between the two ? When unicast is selected all the hosts (computers) in a cluster share an identical unicast MAC address. 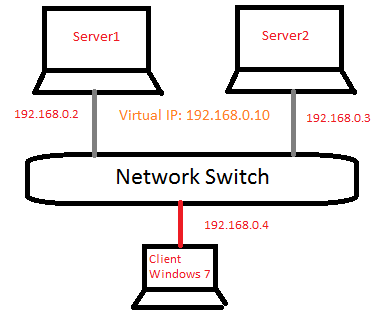 Network Load Balancing overwrites the original MAC address of the cluster adapter with the unicast MAC address that is assigned to all the cluster hosts. 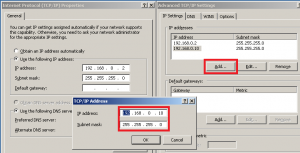 When multicast is selected the original MAC address is retained by each host in the cluster. So what should you select ? In this configuration multicast should be selected, because is unicast is selected peer-to-peer communication between the cluster hosts is not possible as an identical MAC address is assigned to all network adapters. This limitation can be overcome by using multiple network Adapters. Under the host parameters tab set the priority as 1 and under Dedicated IP configuration enter the IP address of server 1. So with the Network Load Balancing Properties done press OK. Now is the most important step, assigning the IP to the adapter. Go to the Internet Protocol (TCP/IP) properties and click advanced, under the IP settings tab click Add and enter the cluster‘s IP address. Click OK thrice and the configuration for server 1 is over. Under host parameter in Network Load Balancing properties set the priority as 2. Enter the same cluster IP address (192.168.0.10) under cluster parameters. 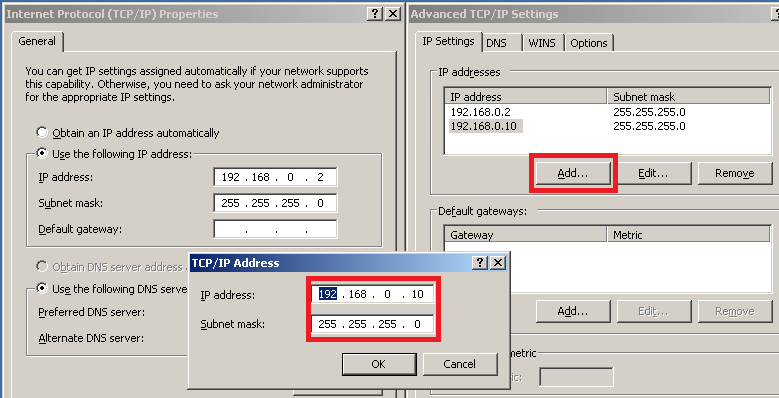 Enter the IP address of the cluster (192.168.0.10) under the IP addresses in the Advanced TCP/IP settings. If everything is correct move on to the next step which is testing the configuration. Now even if you enable server 1’s network adapter you’ll still see server 2’s content. To get back to server 1 disable server 2’s network adapter and refresh the web browser. Thats it you’ve successfully configured network load balancing using a single network adapter. You can add any number of hosts to this cluster by editing their network adapter’s Network Load Balancing settings. realy good and delpy understandable tutorial. Hi Jesin, This is a very good articles, which makes readers to understand NLB. It’d be more nice if you had included some more snapshots of the NLB configuration.